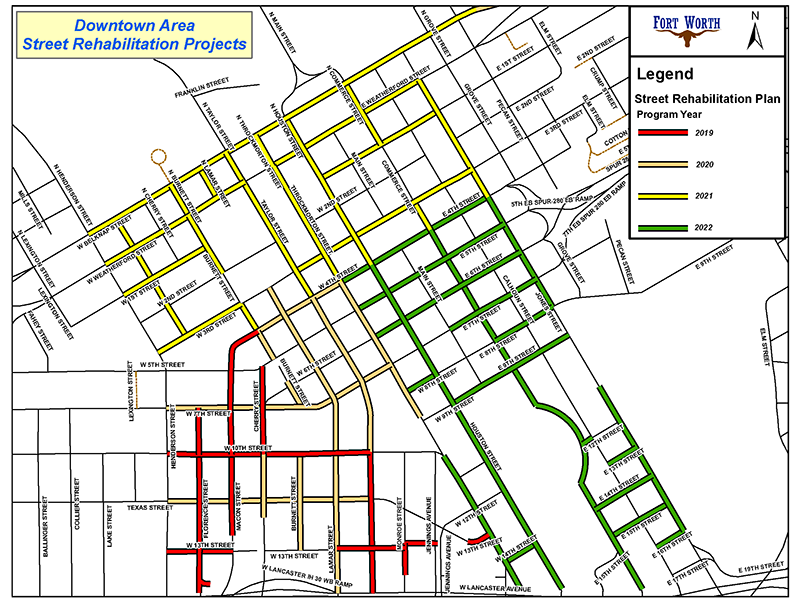 Downtown streets will be resurfaced starting next year. Two meetings are scheduled to update residents, businesses and stakeholders. The first meeting is at 2 p.m. and the second meeting is at 6 p.m. Nov. 27 at the Central Library, 500 W. Third St. The project will happen over a four-year period, and the resurfacing schedule will be outlined at the meeting. To learn more, contact Pavement Management Administrator Lauren Prieur at 817-392-6035. Click here to view the letter sent to Downtown Community Partners.